This recipe for crispy prosciutto asparagus is a lovely little appetizer for any occasion, from your next swanky dinner party to yes, the Super Bowl (hey, Super Bowl appetizers are allowed to be elegant!) but in my case they also come in handy when I don’t feel like a regular supper. You know those days when you just feel like lounging around with a glass of wine and some finger food? I’ll be honest and say most of the time that finger food ends up being a bowl of popcorn, but with only a little bit more effort you can whip up a plate of these. 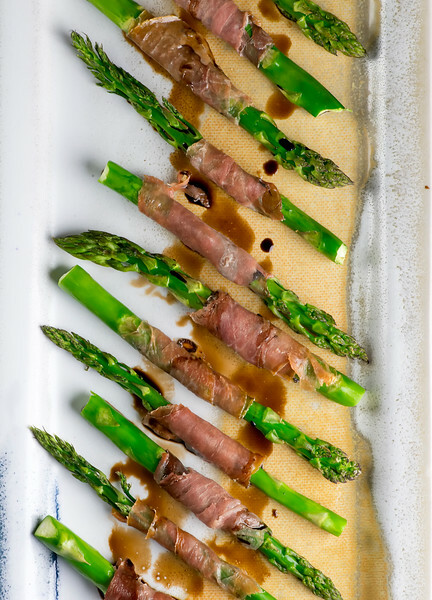 Crispy, tender, asparagus wrapped in prosciutto and drizzled with just a teeny bit of balsamic vinegar, and ooh la la. Let’s make some! The last time I got a hankering for these was during our recent snowstorm. Yep, it took until the end of January for Mother Nature to realize that winter is supposed to include snow up here in the northeast. Until then, the Big Snow of the winter looked like this in my back yard. But finally winter came to its senses, and did what it usually does. Which is this. The second that starts to happen, I start to need warm little nibbly things I can eat while sipping a glass of merlot and catching up on those last 4 episodes of Mad Men that I haven’t yet watched. I KNOW. And so I roused myself enough to wrap some asparagus in prosciutto, bake it up until the asparagus was tender and the prosciutto was crispy, and drizzle the whole thing with a little balsamic vinegar. Delectably good and good for you! I may just float this out ever so casually as a potential Super Bowl snack along with the bowl of Doritos and the hot Mexican cheese dip and see how far I get. Snap each asparagus spear at the lower third of the stalk so that the tougher end comes off. Toss out the ends. Cut each prosciutto slice in half. Wrap each asparagus spear with a prosciutto half. Arrange asparagus in a single layer on a foil-lined baking sheet and roast until the prosciutto is starting to get crispy, about 10 minutes. Oh I am SO trying this the next time I make asparagus! I love prosciutto, so this looks like such a delicious combo! That asparagus looks amazing – I’d be thrilled to have it anytime! 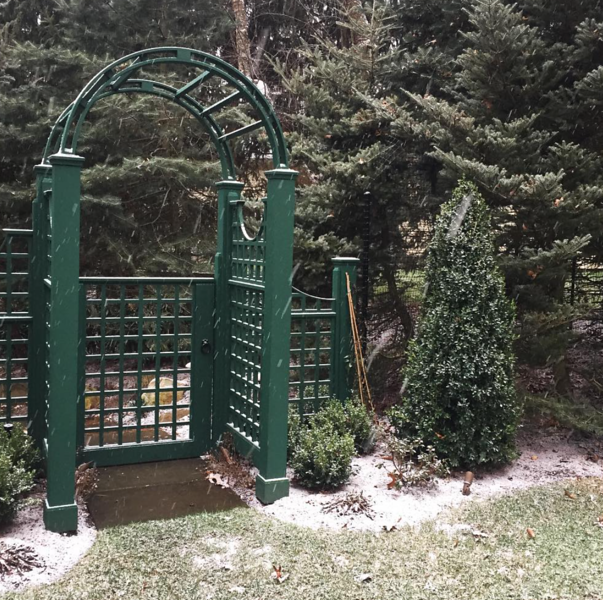 The snow there is beautiful – we only got a “dusting”. This is a classic! Love asparagus, all year, all day. It’s the best veggie! We’re definitely progressing to the dirty/melty phase – it doesn’t take long! 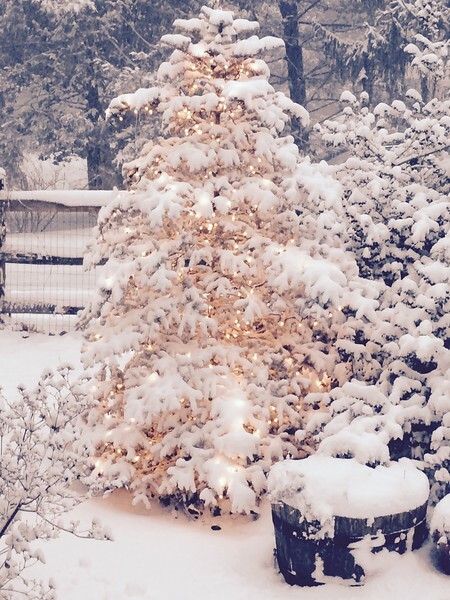 But it’s pretty when it first comes down. I was thinking about you in all the DC snow! I love proscuitto asparagus! It’s such an elegant appetizer. The best part is that it’s so easy to make, yet it looks so gourmet and fancy! Easy and elegant is my favorite combo! I’m definitely down for elevating our Superbowl eats with this lovely appetizer! Especially if it means I get to eat ALL of them ;) But I also can see noshing on this with some wine and some TV and calling it a night – especially after one of those days with the little ones… this would so hit the spot!